At Stainbusters we have spent over 30 years perfecting our methods and today we can proudly call ourselves the most effective carpet cleaners in Stoke on Trent. What sets us apart from our carpet cleaning competitors is our dedication to always finding and using the most innovative and effective products on the market. 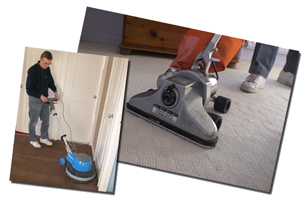 We use unique carpet cleaners and formulas which are designed to deep clean your carpet right down to the root, which lifts the dirt with ease, making it appear brand new. We pride ourselves on our environmentally friendly approach to carpet cleaning in Stoke on Trent. Our formulas are biodegradable, non-toxic and leave your carpets dry within 1-2 hours of application, so you don’t have to spend days waiting to see the benefit. As well as our unparalleled cleaning service, our highly trained team are also able to give your carpets our Fabriguard treatment, which protects your carpet and means any accidental spills in the future won’t leave your carpets permanently damaged. So what makes our carpet cleaner so innovative? By avoiding the use of large levels of water we are able to ensure there is no shrinking, wearing or damage to your carpet, as well as being able to minimise drying time for your complete convenience. We use a combination of stain removal methods, rotary machines and commercial vacuums to give your carpet the deepest clean of its life. As the best carpet cleaner in Stoke on Trent we guarantee that if a stain can be removed, we will remove it, and if another company succeeds where we haven’t, we will give you your money back. If you’re in Stoke on Trent and would like more information regarding any of our services, all you have to do is call 01782 365 355 today.